AB Devillers also called as Mr. 360 is one of the best and most entertaining batsmen we have seen. He is one of the most loved overseas batsmen in India as well. On the other hand, Malinga is another overseas bowler who has really dominated the IPL and is one of the best death bowlers in the world. His change of pace and yorkers have troubled almost every batsman. Although Malinga has been seen as a threat in the eyes of most batsman, AB Devillers has shown no discomfort against Malinga. In IPL, Malinga has bowled 61 balls to AB Devillers out of which he has scored 124 runs at a strike rate of 203.3 with 18 4's and 6's. Malinga has never managed to dismiss AB Devillers in the IPL!!! They both are great players, but in their one on one contest in the IPL, definitely AB Devillers has dominated so far. This page contains news relating to various facts and events. The views are generally about current affiars and general topics in diversified areas such as political, international, national, and regional issues, sports, health, travel, lifestyle, technology and business. People having similar interets on the above topics will find this page useful. 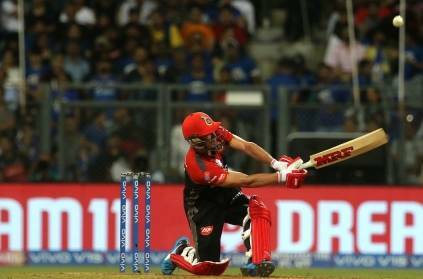 AB Devillers has dominated against Malinga in IPL | Sports News.